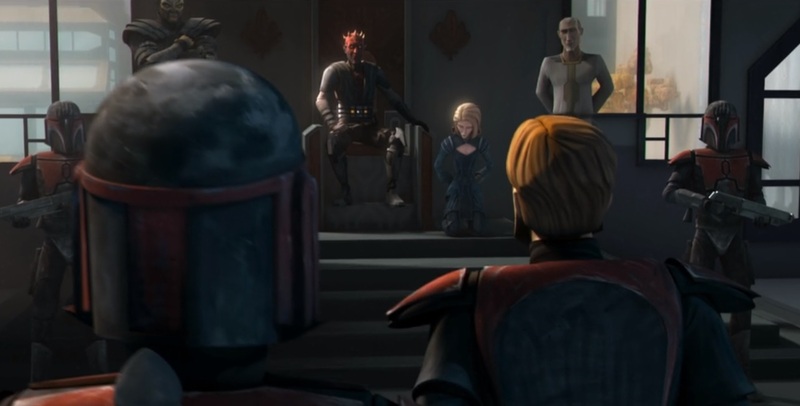 Following her passing, Oppress inquires, “Do we kill him now, brother?” Maul responds very calmly, “No: imprison him below. 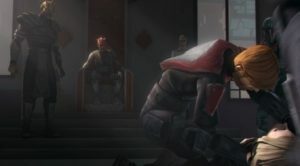 Let him drown in his misery. 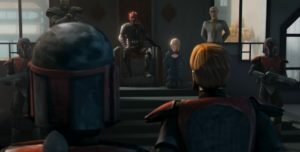 Take him to his cell to rot.” As the scene concludes, we see a triumphant Maul confident on the Mandalorian throne. 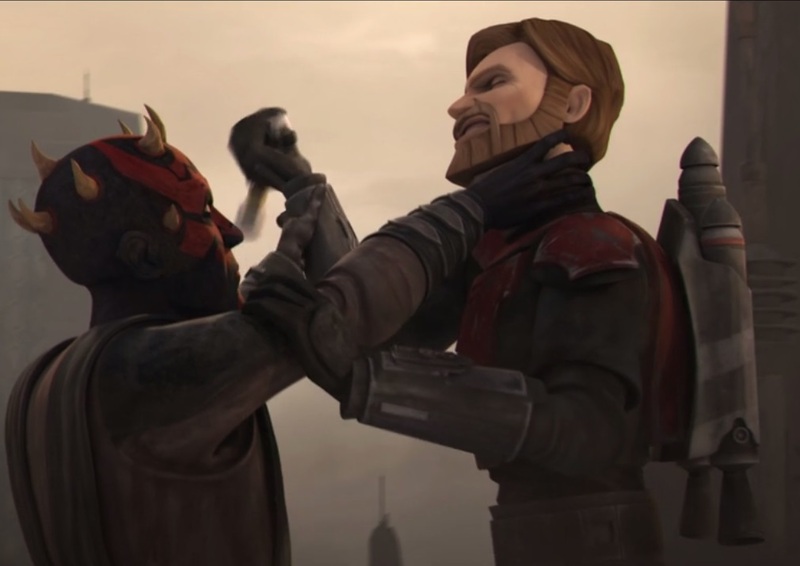 From these two scenes, we learn that Maul has “languished for years thinking of nothing but” Obi-Wan, yet he hadn’t planned on killing him. But that doesn’t mean that killing is out of the picture, as he is more than happy to end Satine’s life. 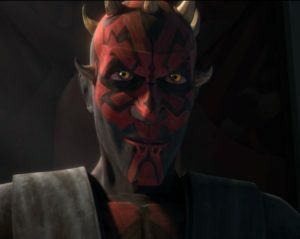 Somehow, Maul knows that Satine and Kenobi had a close connection and she was the perfect bait to draw Kenobi to come to him. Through killing her, he is able to have his pain shared by Kenobi, which is desirous for him. 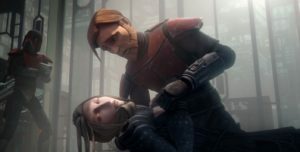 We also learn that he is a planner, as he was happy to have Satine go off and send a distress signal, but also aware that neither the Jedi nor the Republic would send in forces, just Kenobi. It is Kenobi’s will to go and save her that gets her killed, causing Maul significant schadenfreude.